WASHINGTON, Jan. 20 (Xinhua) -- Don't be surprised if Uber drivers fail to pick you up this month. The partial U.S. government shutdown which is now on its 30th day is the culprit. The unexpected link is due to the rapid drifting of Earth's north magnetic pole, a strange phenomenon demanding an update of World Magnetic Model. The model, pivotal to the accuracy of systems that steer ships at sea and of Google maps on smartphones, should have been updated on Tuesday but it had to be postponed until the end of the month due to the government shutdown. "The error is increasing all the time," said Arnaud Chulliat, a geomagnetist at the University of Colorado Boulder. 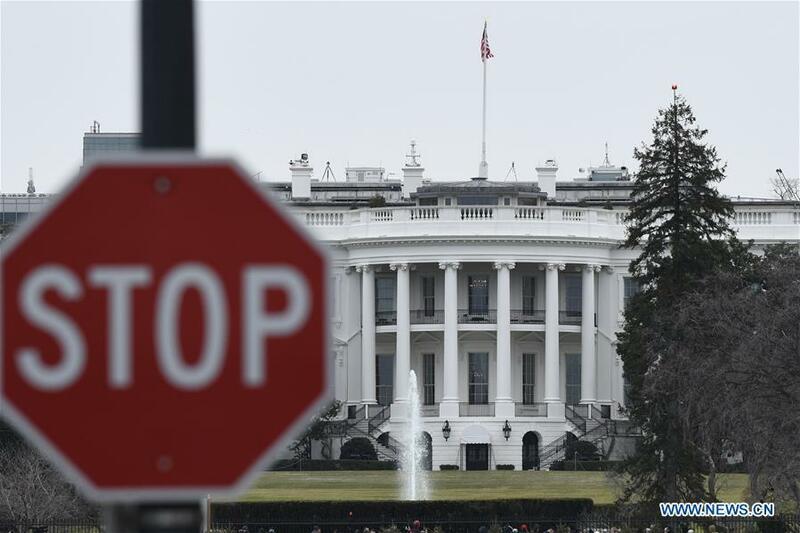 Although the U.S. start-ups at this year's Consumer Electronic Show called for the country's embrace of resilient technologies in face of recurring natural shocks and stresses, the shutdown showed a scenario exactly to the contrary. Much of the research at the National Hurricane Center stalled, putting the main American weather model upgrade in jeopardy. The country's hurricane season begins in June, and preparatory work should have been in full swing but for the shutdown. Assistance for the control of some plant and animal pests and diseases will be suspended, according to the U.S. Department of Agriculture. Also, the Food and Drug Administration is understaffed in inspecting safety of the foods on the shelves, increasing the possibilities of spread of food-induced diseases. The shutdown damaged the country's scientific innovation as well. Now, access to some government databases is limited. College students may find it difficult to work on their theses or dissertations. "Any shutdown of the federal government can disrupt or delay research projects, lead to uncertainty over new research, and reduce researchers' access to agency data and infrastructure," said Rush Holt, CEO of American Association for the Advancement of Science in a statement. In Jan. 1-8, 2018, the National Science Foundation funded 108 research grants worth 42 million U.S. dollars, but during the same period this year, no grants were issued. Hundreds of federal employees failed to attend the American Meteorological Society meeting in early January, according to the meteorologist Chris Vagasky. About 10-15 percent of the expected 3,200 participants of the annual meeting of the American Astronomical Society (AAS) were absent. Most of them are government employees. "To them I say we miss you, and we wanted you here," said Megan Donahue, a Michigan State University professor and president of the AAS in her opening remarks of the conference.